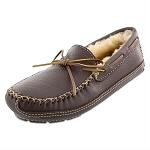 Minnetonka 3759 - Men's soft, genuine black moosehide upper with a rawhide lace. 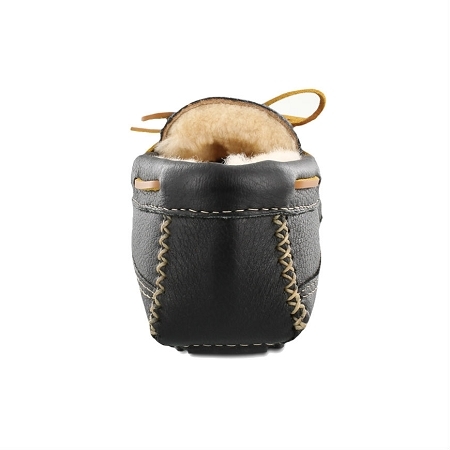 Lined with genuine sheepskin on a fully padded insole and durable ruber Lakeshore sole. 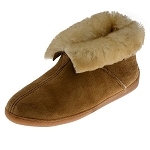 Comfy sheepskin linings give your feet a little extra warmth when the temperature cools down. 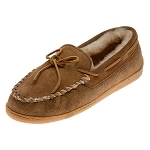 This is a great slipper for around the house. Other colors available. 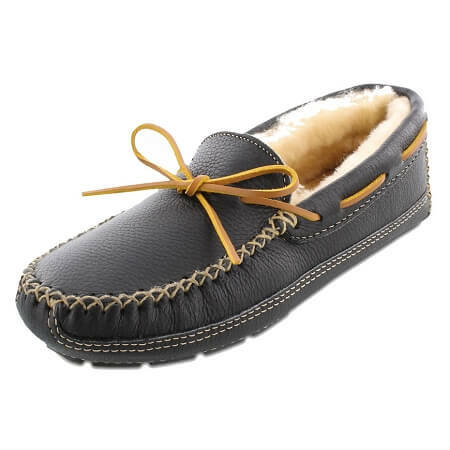 Minnetonka 3759 - Men's soft, genuine black moosehide upper with a rawhide lace. 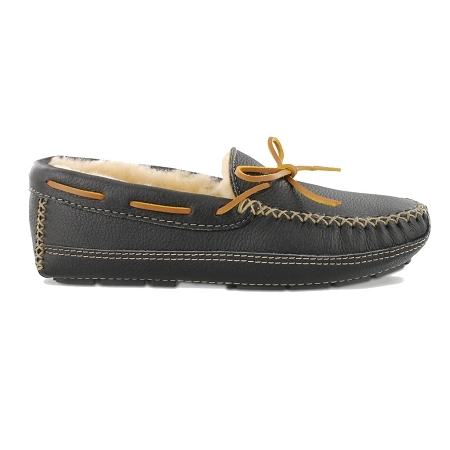 Lined with genuine sheepskin on a fully padded insole and durable rubber Lakeshore sole. 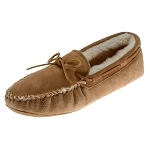 Comfy sheepskin linings give your feet a little extra warmth when the temperature cools down. 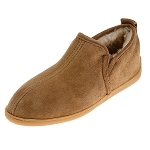 This is a great slipper for around the house. Other colors available.